Sydney Carl Moad, age 71, of Grandview Mo. passed away peacefully at his home Friday, September 21, 2018. Sydney was born December 26, 1946 to Ada Mary Smith and John Henry Moad in Cole County Missouri. He was a decorated veteran in the US Navy, proudly and bravely serving three tours in Vietnam, where he earned a bronze star. After serving his country, he worked for Mobile Hydraulics for over 35 years. He married Doris Marie on January 15, 1977. He wholeheartedly and proudly accepted Doris' two children Richard Irvin and Sheila Larie as his own. They made their home in Belton Mo. and had two more children together John Thomas and Sifonya Mary. He retired from Mobile Hydraulics in 2013 and moved to Grandview to be closer to his children and grandchildren, whom he adored. 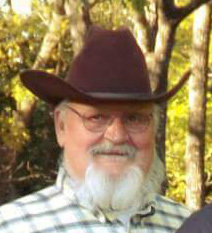 His hobbies included: country music, fishing, hunting, camping, grilling, and enjoying life. Merritt and husband Ben of Grandview Missouri, 15 grandchildren and 8 great grandchildren. Visitation will be held From 4 to 6pm, followed by Funeral Service on Thursday, September 27, 2018 at Park Lawn Funeral Home, 8251 Hillcrest Road KC Mo. Cremation will follow services. Graveside committal with Navy Honors will be scheduled at Leavenworth National Cemetery at a later date. Graveside committal with Navy Honors will be scheduled at Leavenworth National Cemetery at a later date.